How Can Soy Help Me Fight Menopause? Rich in proteins, low in carbohydrates, and thought to possess estrogen-like properties, soy is one of the most popular foods for the treatment of menopause in women. But with so many soy products out there, it can be difficult to decide on the best ways to introduce more soy into your diet. 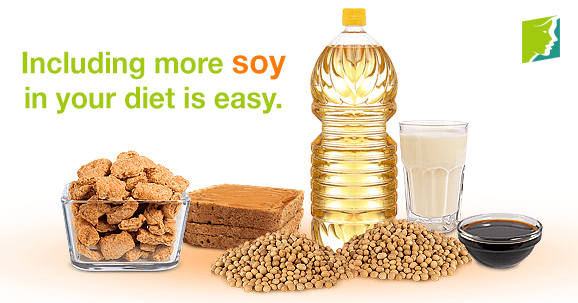 Keep reading for some tips on using soy to fight menopause. If your recipe calls for a cup of milk, try using soy milk instead. Soy milk carries a distinctive taste that many women find preferable to the dairy variety. It may add the dash of flavor and healthfulness, that your recipe needs. They are often the source of derision in the West, but consider the fact that soy meat substitutes are the main source of protein in cuisines around the world. Insert these products into your chicken and beef-based recipes, and you may be pleasantly surprised by the results. You can also expand your horizons by incorporating Asian tofu recipes into your cooking repertoire. Making bread? Chances are, you have not yet tried soy-based flour. Use guar gum or xanthan gum to replace the wheat glutens and enjoy the unique and healthy flavors that emerge from your oven. Soy burgers, soy breakfast links, and even soy steaks have all increased in quality in recent years, and many women prefer them to fattier and greasier alternatives. Pick up some soy burgers for your next cookout. You may just like them. As you can see, incorporating soy into your diet isn't difficult. Following these cooking tips can help you feel healthier and relieve many of your menopausal symptoms in the process. Of course, if your symptoms are severe and disrupting your daily life, it is important to consult with a medical professional about your treatment options. Follow the links below to learn more about other treatments for menopause.